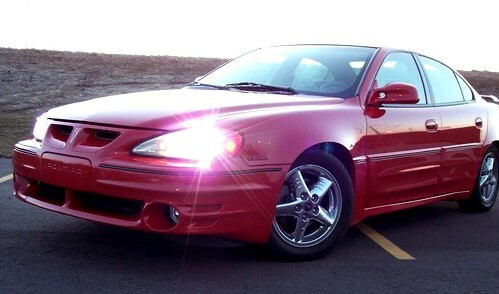 Marilee pulled into the shopping center’s lot and parked her Grand Am – which from the knocking sounds coming from under the hood was desperately overdue for an oil change – beneath a light pole. The fluorescent bulbs were burned out here, leaving her in a pool of darkness surrounded by circles of blue-white created by the lot’s functioning light poles. Good. She hoped the shadows enshrouding her car would work to her advantage. She debated whether to turn the engine off or leave it running. She decided on the latter. If she couldn’t bring herself to go through with this, then there was a good chance she would want to get out of here as fast as possible. She did turn off her headlights, though, and the shadows surrounding her car seemed to grow thicker and deeper. From where she sat she had a good view of the Redbox. The DVD dispensary was located on the sidewalk between a Shop’n Save and a pet washing business called Wet Pets. It was lit from within, and while she supposed some might find the machine’s red glow cheerful, it struck her as ominous. Red equaled blood to her mind, especially this late at night, when she sat alone behind the wheel, her car cloaked in shadow and encircled by a sea of eerie fluorescent haze. She glanced at her phone to check the time. 2:38. Almost exactly the same time it happened before. Can we make words to you? She shuddered at the memory, and reached out to take hold of the steering wheel to steady herself. She gripped it tight, until her knuckles whitened and began to ache. When that didn’t help calm her, she removed her right hand from the wheel and stretched out her arm to make the sleeve of her coat ride up until she could see the tattoo of a small blue star at the base of her inner wrist. Her nervousness didn’t fully abate, but it decreased to the point where she could breathe easily again, and soon she was able to remove her other hand from the steering wheel. There was no reply, of course. She wasn’t crazy. But she thought she felt a small loving presence in the car with her. She knew it was likely nothing more than her imagination, but she appreciated the comfort regardless of whether it was real of self-manufactured. It was late November, only a few days after Thanksgiving. Her first without Brett. He’d left her in August, not long after . . .
She looked at her wrist-star again. Gyre was located in southwestern Ohio, not far from Cincinnati. The country here was far from mountainous, but the town lay nestled in a valley, and night fell early due to the hills blocking the few remaining rays of sunlight at dusk. The night’s shadows always seemed blacker in Gyre. Colder. And although there was no snow on the ground yet, it was cold enough to feel like winter. Not quite freezing, Marilee guessed, but near enough. The dead leaves scattered across the parking lot and sidewalk seemed a reminder that Autumn wasn’t quite ready to relinquish its hold on Gyre. A breeze blew strong enough to skitter leaves across asphalt and occasionally stir them into swirling eddies. She could hear the skirl of leaves through the closed car windows, and she thought it sounded claws scratching against old dry bone. Given the temperature outside and the light jacket she was wearing, she should’ve felt cold, but she didn’t have the heater running. If anything, she felt too warm. Just nerves, she told herself. Some people get chills when they’re scared, some heated up. It was normal. Now all she had to do was wait and hope. Redbox DVD at 2:30 in the morning simply because she’d finished it earlier tonight – a romantic comedy starring the always-yummy Ryan Gosling – and since she hadn’t been able to sleep, she figured why not go out and get another movie? It wasn’t like there was anyone else at home for her to disturb, not now that Brett was gone, not since Anna . . . Her mind turned away from that thought. So she felt sorry for herself that she was alone – especially so close to Thanksgiving – but she also felt exhilarated by the simple freedom of being able to do whatever she pleased, whenever she pleased. She’d been married to Brett for almost eight years. Not so long, really, she supposed, but long enough for her to forget what it was like to be single. She had to admit there were definite perks. She pulled up to the curb in front of the Redbox, put her car in park, and got out, leaving the engine running. The air was chilly, the sky overcast and starless, and the lot empty of any vehicles save for her own. She wasn’t creeped out, though. She was a big girl – well, not literally. She was barely five feet and thin, the kind of woman the word petite had been invented for. But she could take care of herself. She’d taken self-defense classes and even had a stun gun in her glove compartment. Besides, the parking lot was well lit, more or less, and while Gyre had its fair share of crime, she’d lived here most of her life and felt safe enough. Besides, all she wanted to do was return this movie and pick up another. It wouldn’t take long. And whatever you pick, don’t shove it into the DVD player as soon as you get home, she cautioned herself. You’re supposed to be at work bright and early. Maybe she’d call in sick. She was single now, right? Maybe not officially since the divorce hadn’t come through yet, but close enough. She didn’t have to worry about Brett complaining if she stayed home. And so what if she let down whichever of her regulars had scheduled appointments for tomorrow? They’d either see one of the other stylists or reschedule. Either way, it wasn’t like the salon would go out of business because she decided to play hooky one day. Feeling almost giddy at the thought of staying home tomorrow to watch another movie, she practically skipped up to the Redbox. She returned the movie by inserting it into the proper slot – Seeya later, Ryan sweetie! – and began perusing the other films the machine had to offer. As she pressed buttons on the Redbox’s display screen, she felt a niggling sensation at the back of her mind, as if a part of her had noticed something the rest of her hadn’t and wanted t get her attention. She ignored it at first, too intent on finding a new movie. Maybe something with Robert Downey, Jr. But the sensation increased, becoming stronger and more insistent, and with it came a burgeoning fear that bordered on panic. She spun around, expecting to see nothing. Instead she saw two people clad in almost identical clothing. Dark hoodies (one black, one navy blue), jeans, and sneakers. They wore their hoods up and kept their gazes fastened on the sidewalk in front of their shoes. She couldn’t discern any hint of gender at first, but from their height – one her size, one a few inches shorter – she guessed they were in their early teens at most, and that the taller was the older of the two. They stood ramrod-straight and statue-still, hands at their sides, palms pressed against their legs. Their skin was pale, almost white as marble, and while she wanted to tell herself that it was just a trick of the fluorescent lights coupled with her tired, sleep-deprived eyes, she knew better. She immediately thought of the stun gun in her glove compartment. She wished she were holding it now. They’re going to try and rob me, she thought. Their hands were empty, but that didn’t mean they were unarmed. They could have guns or knives hidden in their pockets or tucked into their pants. It would only take seconds for them to draw such weapons, nowhere near the time she’d need to make it back to her car, slam the door, and roar off like the proverbial bat out of hell. She decided to go on the offensive and ask the kids if she could help them, but she couldn’t make her voice work. It was as if her vocal cords had become dry and immobile, like brittle strips of old leather. What was wrong with her? They were just kids. She shouldn’t be afraid to talk to them. But she was. Deeply and profoundly. She wanted nothing to do with these two, would’ve turned and run for all she was worth if she could’ve made her legs obey her. Caution was an appropriate response to two strange teens approaching you in a deserted parking lot in the middle of the night. But sheer, unreasoning, growing-stronger-every-second terror . . . that did not seem like an appropriate response. At least, not intellectually. Emotionally, however, it made perfect sense, even if she didn’t know why. They stood shoulder to shoulder less than teen feet away from her, so close that she could reach out and touch them if she wanted. And vice versa. She felt like a gazelle suddenly aware that a lion was not only stalking her, it had moved to within killing distance. The voice was male, but not low enough to belong to an adult. The tone was calm, almost devoid of emotion to the point of being robotic, and the inflection was odd. It made Marilee think of someone that had learned to speak English phonetically without truly understanding the meaning behind the sounds that emerged from his mouth. The boy continued as if she hadn’t spoken. The shorter of the two spoke then, a girl, although her voice had the same emotionless tone and cadence of her companion. A brother? Merilee wondered. Head-pictures? Does she mean dreams? 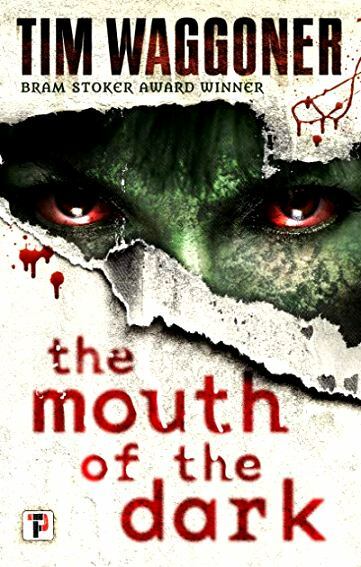 Neither the boy nor the girl looked up to meet her gaze as they spoke, and although there was nothing obviously threatening about them, they exuded an aura of menace so strong that Merilee felt it as an almost physical force. Her heart beat trip-hammer fast, and despite the chill night air, sweat beaded on her flesh. She couldn’t breathe, and she began to feel dizzy. She wondered if she were on the verge of passing out. What would the hoodie-clad teens do if she did? Would they call 911? Simply walk away? Or would they do something else. Something worse. It was that last thought – that fear – which allowed her to finally draw in a breath, shaky and shallow thought it was. They fell silent then, and Merilee had the sense that they weren’t merely awaiting her decision, but that they were focusing the entirety of their combined wills on making her arrive at the decision they desired. Despite this knowledge, she found herself wavering. It was late, and it was cold. And these two might not be children anymore, but they weren’t far from it. They needed help, and she was the only one who could provide it. What if they were your kids who needed help? The thought came in her voice, but she wasn’t entirely sure it was hers. What if it was Anna? It was her daughter’s name that snapped her back to reality. She started to turn away from them, intending to start back toward her car. But the boy’s hand snatched forward so fast she could hardly see it move, and fingers like cold iron encircled her wrist, covering the blue star tattoo there. “Reconsider,” he said softly. He raised his head to look her in the eyes for the first time since approaching her, and his companion – sister? – did the same. Their eyes were a solid glossy black, like highly polished obsidian. As she looked at them, they appeared to widen and lengthen, growing larger until they filled the entire field of her vision. She could feel the expanse of blackness pulling at her, attempting to draw her in. And as insane as this was, the craziest part was that on some level she wanted to go into that darkness, to let it swallow her whole, until nothing of the woman called Merilee existed anymore. The darkness would claim her, yes, but it would also claim her pain, ingest it and eradicate it. And being free of those emotions – the despair over Anna’s loss, the anger and betrayal over Brett leaving her – sounded wonderful. She almost took a step toward the darkness but something – perhaps the tightening of the boy’s grip on her wrist, or maybe the soft intake of air as the girl grew excited – brought her back to herself, and she yanked free of the boy’s hand and ran to her Grand Am. She got in, slammed the door, put the car in gear, jammed her foot on the gas pedal. As she fled, she couldn’t step herself from looking in the rearview. She saw the boy and girl standing on the sidewalk, hands once ore held straight at their sides, heads lowered. They no longer seemed threatening. They seemed forlorn. Merilee didn’t see them approach. The first indication of their presence was the opening of the car’s back doors. She glanced in the rearview mirror and saw a pair of shadowy forms slide into the back seat. Then the doors closed. She couldn’t see if the kids closed them or whether the doors shut on their own. The same intense feeling that she was in danger took hold of her just as it had the last time she was in the kids’ presence, and hear heart rate and respiration increased. She told herself to remain calm. After all, this was what she wanted, right? Without speaking, she flipped on the headlights, put the engine in gear, and slowly pulled out of her space. She drove across the empty parking lot to one of the shopping center’s exits. She stopped and checked for oncoming traffic, although she needn’t have bothered. The street was deserted. Even so, she activated her right turn signal and pulled onto the door. “I hope this direction is all right,” she said, her voice shaky but stronger than she’d expected. The boy and girl didn’t respond. I’ll take that as a yes, she thought, and continued driving. Earlier she’d felt hot while waiting in the car, but now the temperature in the Grand Am fell to the point where it felt as if the air conditioning was on full blast. It was a seeping, insidious cold, the kind that slowly penetrates your bones until you’re so thoroughly chilled your body begins to go numb. She started shivering, but she did her best to ignore it. Again, no response. As still as they were, she might as well have been chauffeuring a pair of mannequins. She continued, her voice growing stronger and more confident as she spoke. She glanced in the rearview. Both the boy and the girl continued to keep their heads down. She was grateful. She didn’t think she could handle looking into the dark depths of their eyes just yet. Merilee nodded, although she doubted the boy could see her since he still looked down, and she turned on her signal. The next street was Marcum Avenue, and she turned left onto it. They drove through a suburban neighborhood of small houses and small yards. Most of the lawns were covered with dead leaves, and while a few houses had porch light on, the majority were dark. “No one knows who or what you are,” Merilee said, “let alone what you want. There are lots of theories, though. Some people think you’re vampires or maybe demons. Others that you’re some kind of human-alien hybrid, children produced from human women who’ve been abducted and impregnated. None of those feel right to me, though. The kids raised their heads at last, but neither spoke. Merilee quickly took her gaze from the mirror so she wouldn’t have to look at those eyes. “Another left turn is next requested,” the girl said. Merilee did as the girl asked, and even though she hadn’t driven all that far from the shopping center, she had no idea where she as. The area was still suburban, but the street was cracked and dotted with potholes, and the yards were bare of grass, the ground white as bone, as if all the life had been leeched out of it. The houses were larger here, but they’d been constructed at odd angles, listing to one side or another, and they were made up of a patchwork conglomeration of materials – wood, brick, metal, glass, and other substances that she couldn’t identify. There were no trees in this neighborhood, and no cars were parked in driveways or on the street. The houses were all dark – no porch or garage lights glowing feebly in the night. And although all the windows were shut, an unpleasant odor filtered into the car, an acrid metallic smell, as if they were driving through an industrial zone. The air outside seemed to ripple and shimmer at times, like the distortion caused by intense heat rolling off blazing hot asphalt, although the interior the car was even colder than before. Merilee tried to ignore what she was seeing and continued speaking. She risked glancing at the rearview. It was too dark here for her to make out the kids’ features, but she could feel the intense scrutiny of their obsidian gazes nevertheless. Neither replied, but she heard a soft rustle of cloth as they scooted forward in their seats. She opened her mouth to speak again, but no words came out. She hadn’t spoken about any of this in so long, and she wasn’t certain she could do so now. Then she heard a voice in her mind, the voice of a little girl that she’d never had the chance to hear in real life. It’s okay, Mama. Go ahead. Merilee nodded, took a deep breath, and began. She felt hot pressure behind her eyes as tears threatened, and for a moment she thought she wouldn’t be able to go on. But she did. The kids might’ve been ebon-eyed statues for all the reaction they gave to Merilee’s story. Outside the car, the houses had become increasingly more distorted as they’d driven, and the street surface was now in such disrepair that the car shook and juddered as it rolled over the broken asphalt. Merilee gripped the steering wheel tighter to steady herself. She didn’t stop or attempt to turn around. The thought didn’t even occur to her. And you so desperately want to be needed, don’t you, Mama? came Anna’s voice. We all do. “The subsequent turning is to be right,” the boy said. The distortion in the air outside grew worse, even though the interior of the car remained freezer-cold. By this point the Grand Am was barely making progress over the broken road, and Merilee saw shapes out of the corner of her eyes on either side of the street, and she turned to look at them. They were hard to make out through the distortion in the air, but she could tell they were human – or human-seeming – forms, smaller than adults, all wearing hoodies, all looking at her with eyes filled with darkness, and all smiling. She saw a sign coming up on the right, dented and rust-eaten. 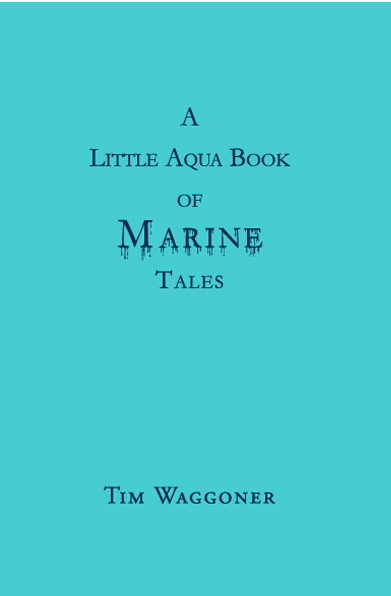 It had a simple word on it, printed in flowing white letters. Exit. She heard more rustling, and a moment later a pair of hard cold hands gripped her shoulders, one belonging to the boy, the other to the girl. “Almost are we home,” the boy said. “And so are you,” the girl added. Merilee was not surprised that their voices – both the girl’s and the boy’s – now sounded like the Anna-voice in her head. Not surprised at all. Tears streaming down her face, Merilee activated her turn signal and pulled onto the ramp. The surface was smooth and glossy-black like her passengers’ eyes – and she was able to easily pick up speed as she ascended toward a darkness deeper and blacker than any she had ever known or conceived of. But at least she wasn’t heading for it alone. 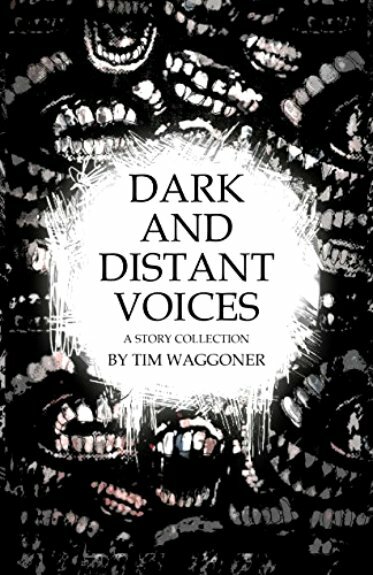 Tim Waggoner's first novel came out in 2001, and since then he's published over forty novels and five collections of short stories. He writes original dark fantasy and horror, as well as media tie-ins. His novels include Like Death, considered a modern classic in the genre, and the popular Nekropolis series of urban fantasy novels. He's written tie-in fiction for Supernatural, Grimm, The X-Files, Doctor Who, A Nightmare on Elm Street, and Transformers, among others, and he's written novelizations for films such as Kingsman: the Golden Circle and Resident Evil: the Final Chapter. His articles on writing have appeared in Writer's Digest, Writer's Journal, Writer's Workshop of Horror, Horror 101, and Where Nightmares Come From. In 2017 he received the Bram Stoker Award for Superior Achievement in Long Fiction, and he's been a finalist for the Shirley Jackson Award and the Scribe Award. 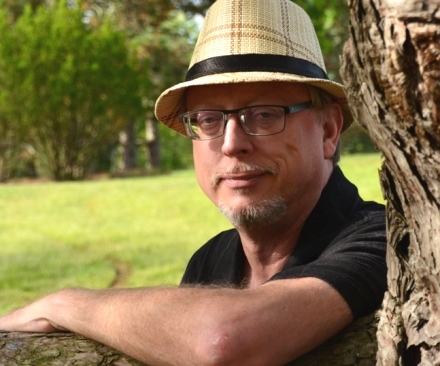 His fiction has received numerous Honorable Mentions in volumes of Best Horror of the Year, and in 2016, the Horror Writers Association honored him with the Mentor of the Year Award. In addition to writing, he's also a full-time tenured professor who teaches creative writing and composition at Sinclair College.